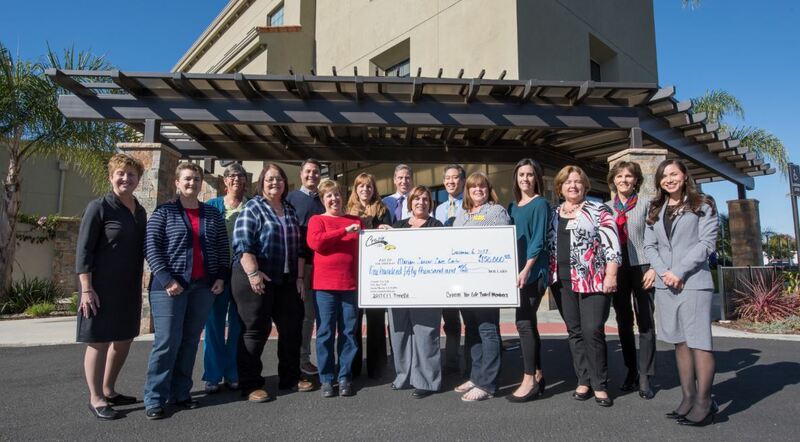 Marian Regional Medical Center is pleased to announce the outstanding $150,000 donation received from Cruzin’ for Life to benefit Marian Cancer Care patients at Mission Hope Cancer Center. Cruzin’ for Life volunteers and board members held a check presentation (pictured above) and announced their record-setting lifetime-giving total to Marian Cancer Care at Mission Hope Cancer Center with hospital leaders, oncologists, medical staff, and hospital board members looking on. This special gift is the largest gift given to any charity in Cruzin’ for Life’s history. Also, with this incredible gift, the cumulative giving history for Cruzin’ for Life to Marian Cancer Care has surpassed $1 million, coming in at $1,081,300. This donation is the largest amount that Cruzin’ for Life has gifted to any organization since its inception in 2004. The incredibly generous donation will benefit local cancer patients in many ways during the course of their treatment, such as assistance with transportation and housing. More information about their charitable endeavors, visit cruzinforlife.net.